MOSCOW, August 12. /TASS/. As part of the large-scale Vostok-2018 drills, missile units from the Urals will conduct live firing from Iskander-M tactical operational missile systems at the Kapustin Yar training ground in southern Russia, the Russian Defense Ministry’s press service said on Wednesday. 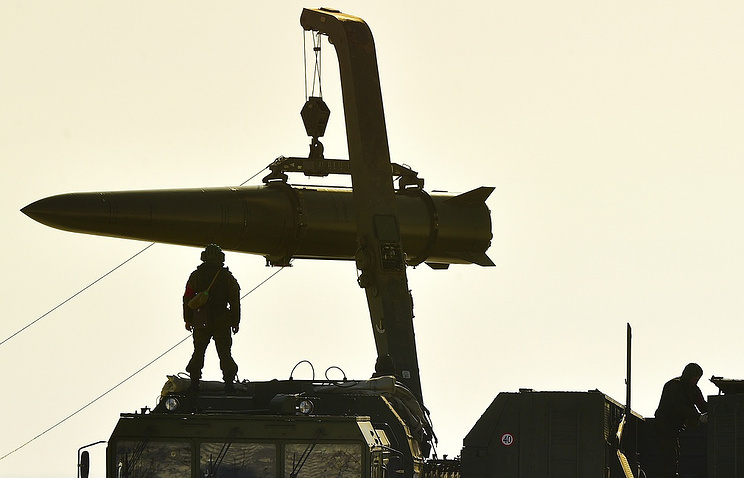 "Earlier, Iskander-M missile crews were redeployed to the Astrakhan Region by rail," the ministry said in a statement. "During one of the episodes of the drills, Iskander-M missile crews will carry out a missile strike to destroy targets at a distance of several hundred of kilometers." In a separate episode, units of Engineer Troops of the Russian Armed Forces will create various types of river crossings in Siberia’s Trans-Baikal Region to ensure passage of about 200 military vehicles from Russia and China.